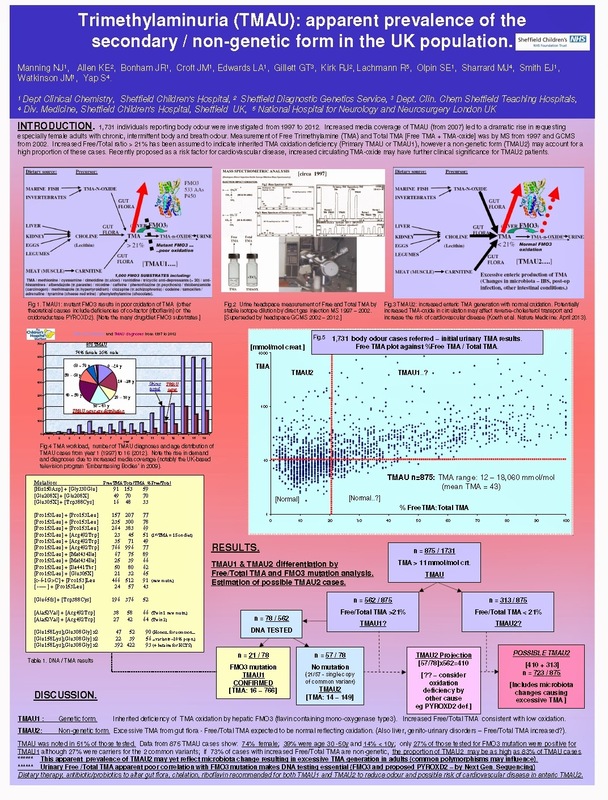 A Trimethylaminuria presentation was given at The 12th International Congress of Inborn Errors of Metabolism (September 2013) in Barcelona. The writers of the presentation seem to be Nigel Manning, Principal Clinical Scientist at Sheffield Children's NHS Foundation Trust and the only trimethylaminuria phenotype (urine) tester in the UK, along with other medical professionals from the Sheffield Children's Hospital that is also the only DNA tester of TMAU in the UK. Dr Robin Lachmann was also involved, A London consultant who is most associated with TMAU advice to patients in the UK. 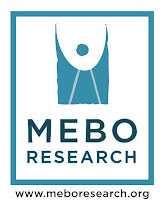 Mr Manning has kindly given MEBO Research a copy of the poster of the presentation for public viewing. The presentation seemed to be about the statistics of all the TMAU urine and DNA results at Sheffield from when testing at Sheffield began (1997) until end of 2012.